The terrorist attacks in the USA on September 11, 2001 remain a terrible memory for many people. The desire to help has also been tremendous. All over the world people have organized ways of showing their support for the victims and their families. As a response to the catastrophe, on behalf of the people of Berlin, the Checkpoint Charlie Foundation immediately initiated a fund-raising campaign, “Berlin helps the USA”. The echo was overwhelming. Up to the spring of 2002 Berlin citizens, institutions, organizations, companies, schools, nursery schools, and self-employed persons, along with supporters from the entire country donated an unbelievable DM 1.1 million. 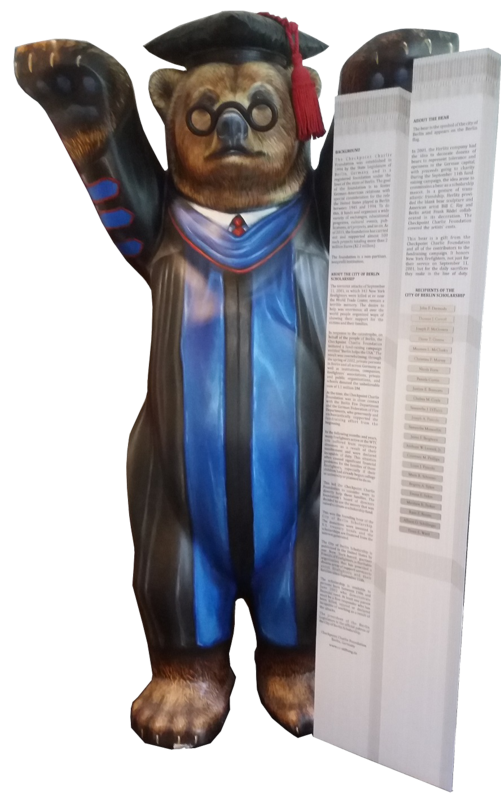 The “City of Berlin” Scholarship Buddy Bear was a German-American cooperative project between the artists Frank Rödel and Bill C. Ray. The names of the German supporters (as of September 2002) of the “Berlin helps the USA” campaign are listed on the reproduction of the Twin Towers. 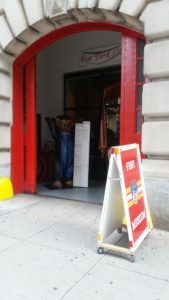 At that time, the Checkpoint Charlie Foundation already had close contacts with the Berlin Fire Department as well as their colleagues in the New York Fire Department. Together with them the foundation organized the Fire Department Bridge New York – Berlin, which, in the summer of 2002, brought the children of firefighters killed or injured during the attacks to Berlin for one week. These contacts, and the fact that 343 firefighters were killed when the World Trade Center towers collapsed, caused the board of directors of the foundation to consider possibilities to help their families more directly. At first the firefighters were left alone with their health and financial worries; this was true also of those who, even weeks later, continued to look for victims often without adequate breathing protection. In the years following September 11, 2001, many of these firefighters suffered from respiratory diseases due to their dedicated assistance and were declared incapable of working and were given involuntary early retirement. This situation often led to great financial problems for the families of these New York firefighters, especially if their children had already begun college or university or if they hoped to do so in the future. For this reason the Checkpoint Charlie Foundation decided to use the donated money to create a scholarship fund for these affected young people. This was the founding hour of the “City of Berlin Scholarship” (CBS). The money was invested in US treasury bonds, and the scholarships, awarded since 2005, are financed from the interest earned. 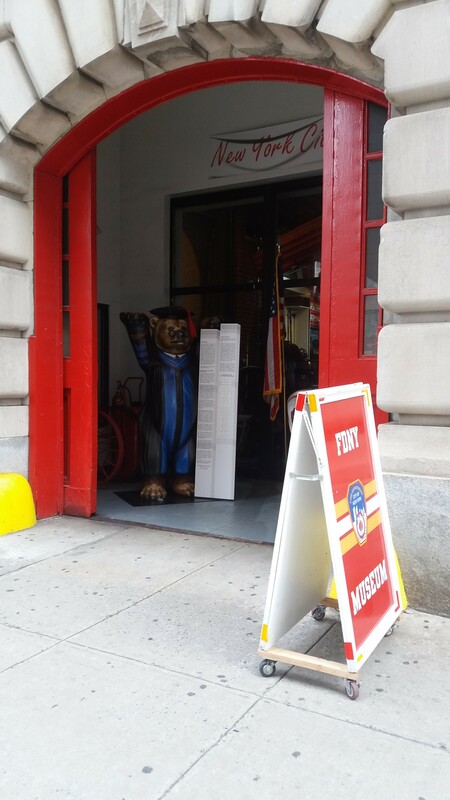 The partner of the Checkpoint Charlie Foundation in publicizing the City of Berlin Scholarship in the United States is Brooklyn-based Friends of Firefighters, Inc., a charitable organization that provides a diverse array of support services to help firefighters who were on duty on September 11th and their families. The scholarship is open to persons born between 1986 and June 2002 who demonstrate financial need. At least one parent must be an FDNY employee (or former employee who was in service in September 2001) and was officially declared incapable of working as a result of the attacks of September 11, 2001 in New York. Scholarship recipients have the opportunity to complete an internship in Berlin once during their studies. More information is available here. Twenty four students are currently receiving scholarships, two of them from our partner “Stiftung Luftbrückendank”. An additional twenty three been able to complete their studies, almost all with outstanding results. A list of the recipients is available here. Ralph Wieland, President of the Berlin House of Representatives, is the official patron of the City of Berlin Scholarship. In addition to the City of Berlin Scholarship, all CBS recipients – indeed all US citizens – who wish to study or conduct research in Berlin and who have earned at least a bachelor’s degree are eligible to apply for a scholarship from the Study Foundation of the Berlin House of Representatives. The scholarship provides recipients with Berlin accommodations and a monthly stipend for 10 months, during which they can conduct research as part of program leading to a Ph.D. or master’s degree. The scholarship from the Study Foundation of the House or Representatives of is available only to graduate students, especially Ph.D. students but also masters students, who wish to live and conduct research in Berlin. An information sheet about the scholarship is available here. Detailed guidelines about the scholarship are available here and an application form is available here. The application deadline for the scholarship of the Study Foundation is December 15. The Study Foundation of the Berlin House of Representatives is not affiliated with the Checkpoint Charlie Foundation.